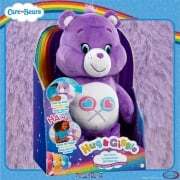 Care Bears - more huggable than ever! Suitable for ages 24 months +. 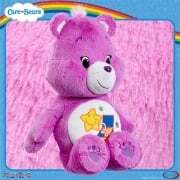 Care Bears - more huggable than ever! Suitable for ages 24 months +, for Funshine, now a superhero, having fun is job number one. Nothing makes him happier than hanging with friends, or going on adventures, making even more friends along the way! He makes the most of his days with sunny optimism. 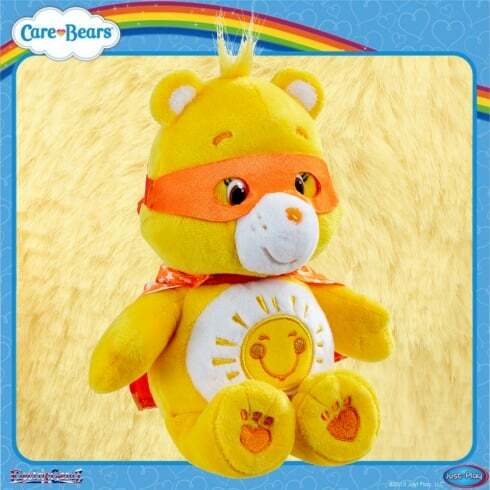 Funshine's belly badge reflects this spirit: a smiling, blazing yellow sun! Collect the whole range, all available from ElectricGemZ. 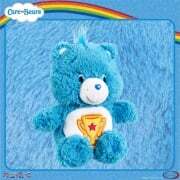 Search in the box above for Care Bears.